The city of Montclair, New Jersey has long been a cultural hub. In an upcoming episode dedicated entirely to Montclair’s eclectic artistic community, State of the Arts features everything from contemporary art to cinema, literature to an illustrious jazz scene – celebrating a town that is truly dedicated to its arts, culture, and history. Back in 1885, renowned landscape painter George Inness, born in New York state and raised in Newark, moved to the city to spend the last years of his life inspired by the beautiful natural landscape. Featured above is Winter Morning, Montclair – just one of his beautiful landscape paintings of this once rural town. 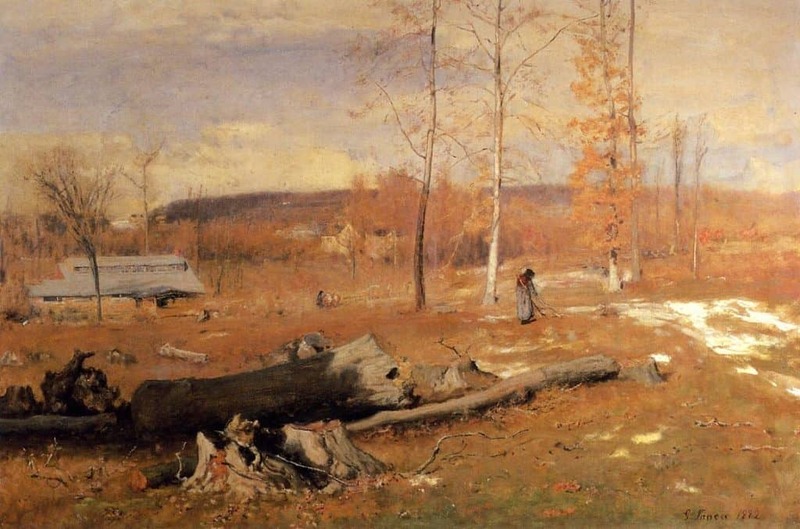 George Inness was just one of many artists whose presence helped transform Montclair into a well-known art colony. Now, at the Montclair Art Museum (MAM), a permanent gallery dedicated to the work of George Inness can be found. MAM senior curator Gail Stavitsky says it’s the only gallery permanently dedicated to showing work by “the father of American landscape painting.” The museum itself grew out of locally-donated collections of American and Native American art. 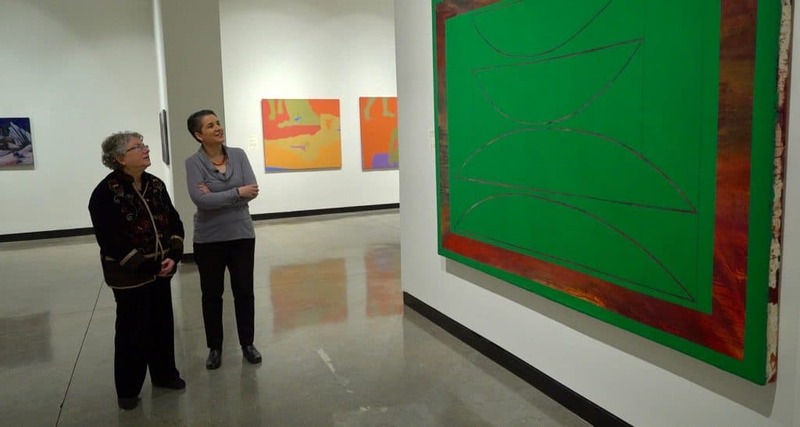 As part of “The Montclair Show,” State of the Arts visits MAM to see how they are continuing with this dedication, featuring an exhibition by Native American landscape painter Kay WalkingStick. Curated by the Smithsonian National Museum of the American Indian, Kay WalkingStick: American Artist covers five decades of her work, and will be on display until June 17, 2018. Montclair Art Museum Chief Curator Gail Stavitsky with National Museum of the American Indian Curator Kathleen Ash-Milby. The city attracts not only visual artists, but also writers, musicians, actors, and filmmakers. The Montclair Film Festival has been growing exponentially since its inception in 2012. This year’s festival runs from April 26 through May 6, 2018. To attend a special preview screening of State of the Arts “The Montclair Show” at Montclair Film’s new location on Bloomfield Avenue on April 24, RSVP here! 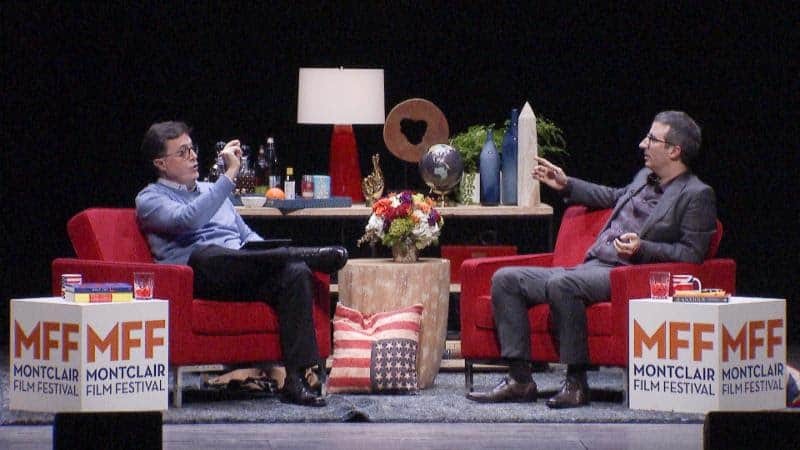 Speakers for the 2018 Montclair Film Festival include Montclair native Stephen Colbert, pictured below with John Oliver. Writers are also drawn to Montclair, inspired by its history and supportive community. The Montclair Literary Festival held its second year this March, including panels, workshops, and talks. One of the highlights was the inimitable Patti Smith, who held a performance and a reading from her book Devotion (Why I Write). Run by Succeed2gether and held collaboratively by the Montclair Public Library, the Montclair Art Museum, Watchung Booksellers, and local volunteers, this festival is a sound example of how this tightly-knit arts and culture community works together to bring arts of all kinds to the public. But perhaps most of all, Montclair is known for jazz. 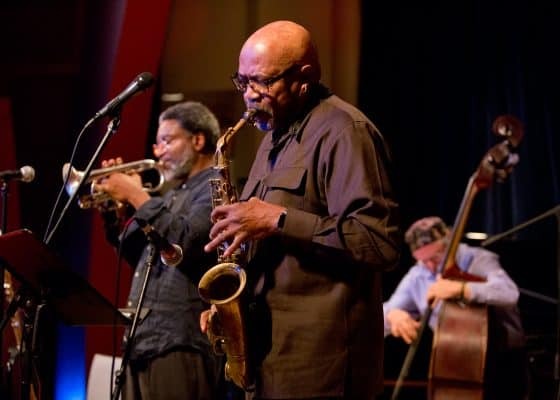 The close relationship between different arts illustrated above is further cemented when you take a look at renowned jazz musician and long-time Montclair resident, Oliver Lake. True to Montclair’s philosophy, Lake not only creates otherworldly music, but also paints and writes poetry. State of the Arts was there for a recent performance by Oliver at the Montclair Art Museum. He’ll also be performing at the Montclair Jazz Festival this August, produced by the Jazz House Kids. 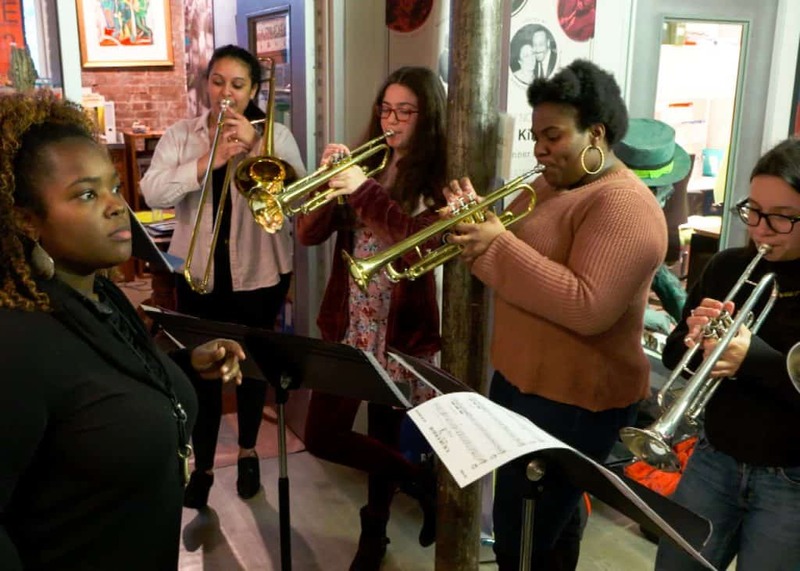 State of the Arts goes on location with the artistic director of Jazz House Kids, virtuoso Christian McBride, as he teaches a master class, and talks about their mission of perpetuating the art of jazz. Along with President and Founder Melissa Walker, they make up the wife and husband team who run Jazz House Kids. Experience Montclair’s cultural scene on this all-new episode of State of the Arts, premiering Sunday, April 29 at 11am on WHYY and 8pm on NJTV! Tune in to NJTV every Saturday at 7:30 PM, and every Thursday at 11:30 PM, for a behind-the-scenes look at New Jersey's remarkable and varied arts scene. Catch episodes on WHYY every Sunday at 11 AM and WNET every Sunday at 12:30 PM, and on ALL ARTS Mondays at 10:30 am and 3:30 pm and Wednesdays at 10:00 am and 3:00 pm.